Keith Parks, 61 year old Woodward resident, died Friday, November 9, 2018 in Woodward. Graveside funeral services will be held at 11:00 a.m. Thursday, November 15, 2018 at the Elmwood Cemetery with Reverend Jeff Ralston officiating. Burial will follow with the Billings Funeral Home in charge of arrangements. Keith Allen Parks was born on December 25, 1956 in Rochester, Minnesota to Lon Owen and Jackie Marvella (Caruthers) Parks. Keith grew up in Woodward and attended Woodward schools, graduation from Woodward High School in 1974. He was united in marriage to Lillian Kay Staley in Las Vegas, Nevada in 1985. They were blessed with two children, Travis and Chad. His dad taught him carpentry at a young age. He worked for BEW Construction for several years before starting his own construction company, Parks Construction. Most recently Keith did work as a concrete finisher and he was very dedicated to his customers and enjoyed seeing the smile on their faces. He spent his life working outdoors. He was the happiest when he was outside working. 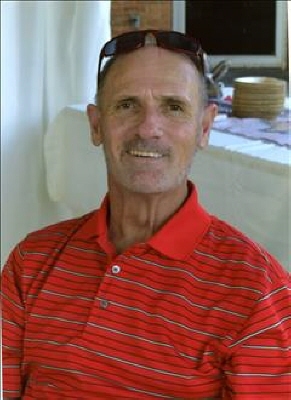 Keith was enjoyed football, basketball, and loved watching golf. He was an avid OU fan and loved all sports. He is survived by his mother, Marvella Parks of Woodward; one son Chad Parks of Woodward; one brother Danny Parks of Woodward; two sisters: Toni Howe and husband Wayne of Woodward, Judy Hammock and husband Donnie of Cushing, Oklahoma; several nieces, nephews, other relatives and many friends. He was preceded in death by one son, Travis in March of 1986, his father Lon O. Parks in March of 2003 and both set of grandparents. Memorial contributions may be made to WOOF Pet Rescue with the funeral home accepting the contributions. To send flowers or a remembrance gift to the family of Keith Allen Parks, please visit our Tribute Store. "Email Address" would like to share the life celebration of Keith Allen Parks. Click on the "link" to go to share a favorite memory or leave a condolence message for the family.